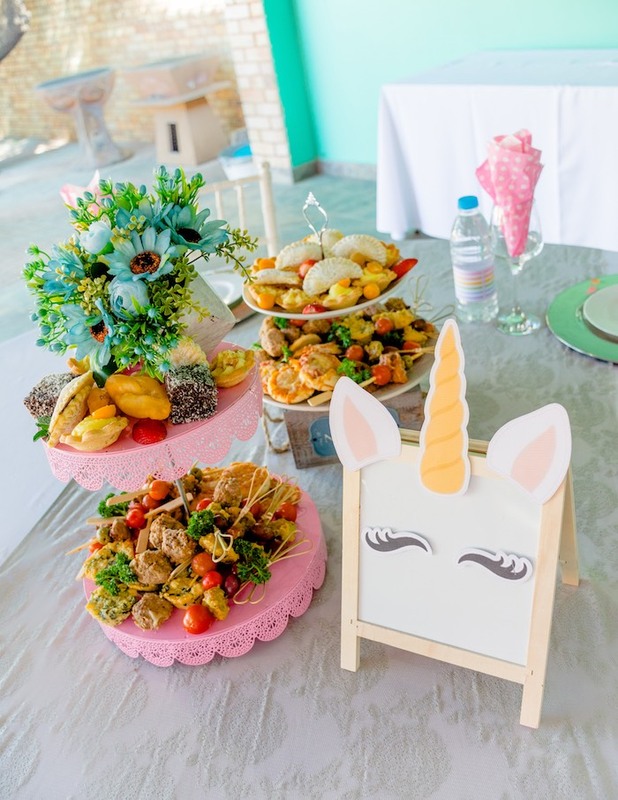 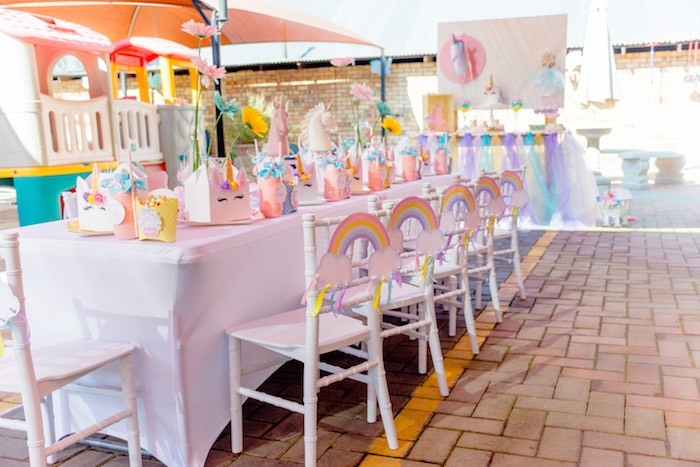 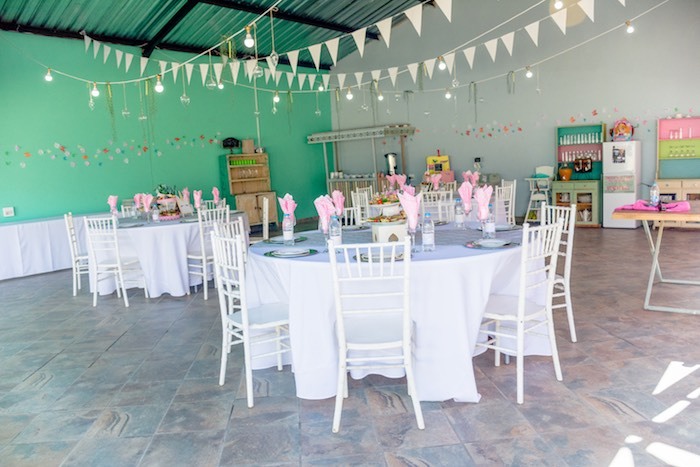 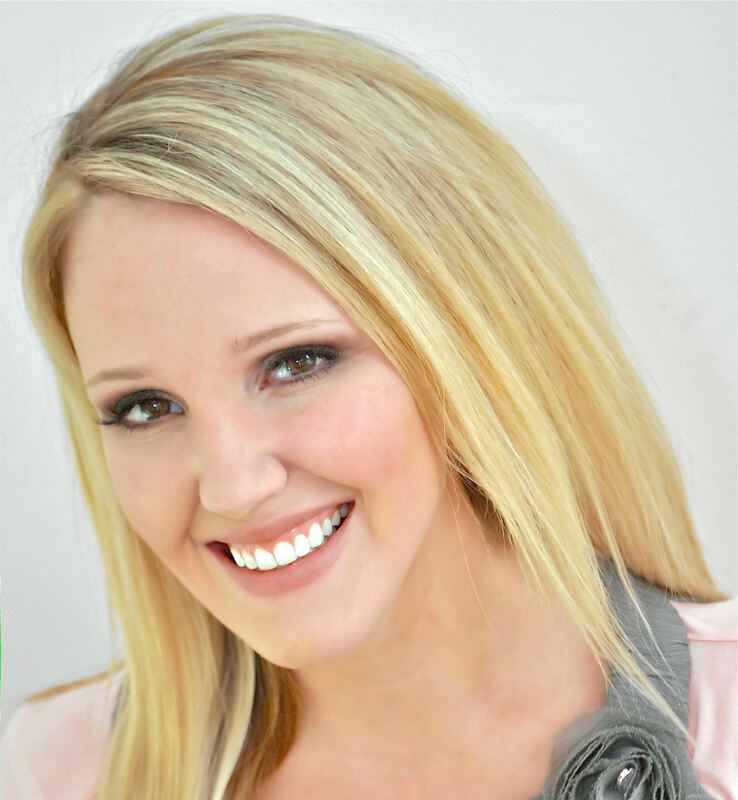 Slide down a rainbow and into the clouds, this Rainbows and Unicorns Birthday Party by Chantelle Dean of One Fine Day Parties, out of Krugersdorp, South Africa, is flying proud! 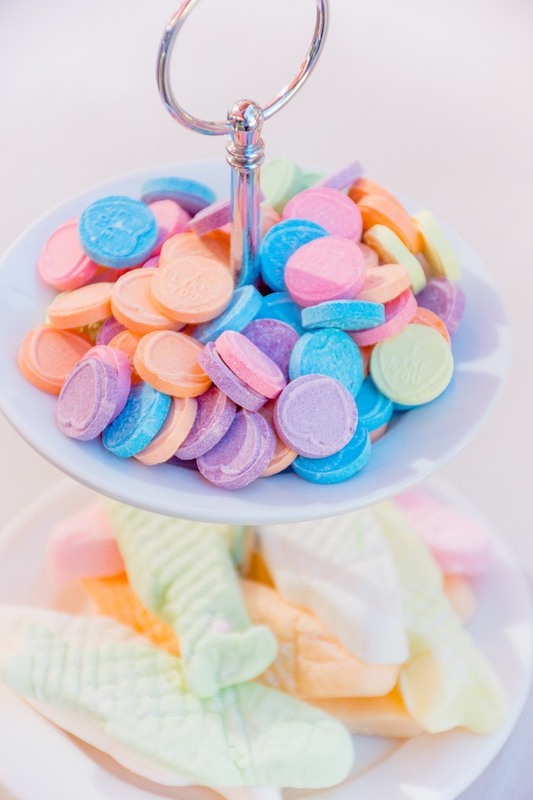 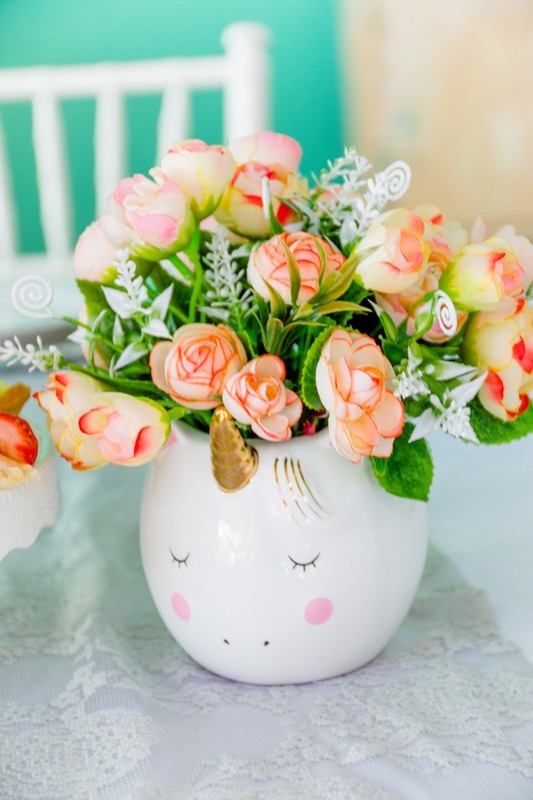 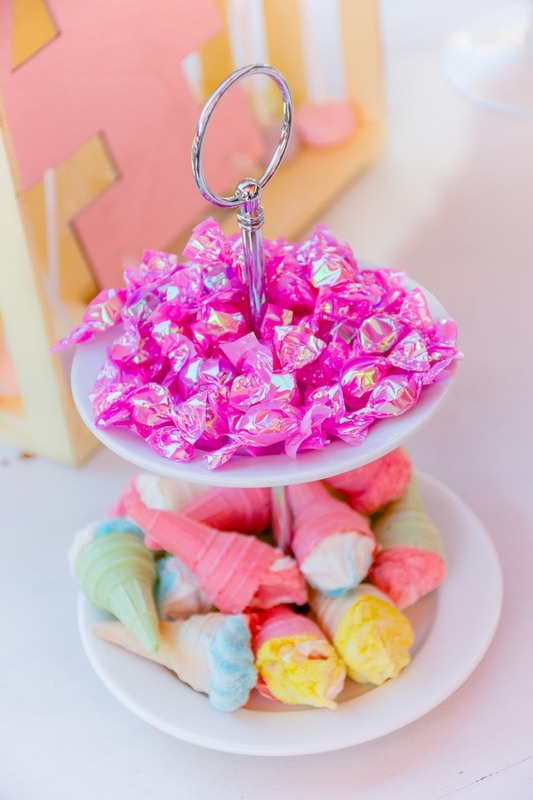 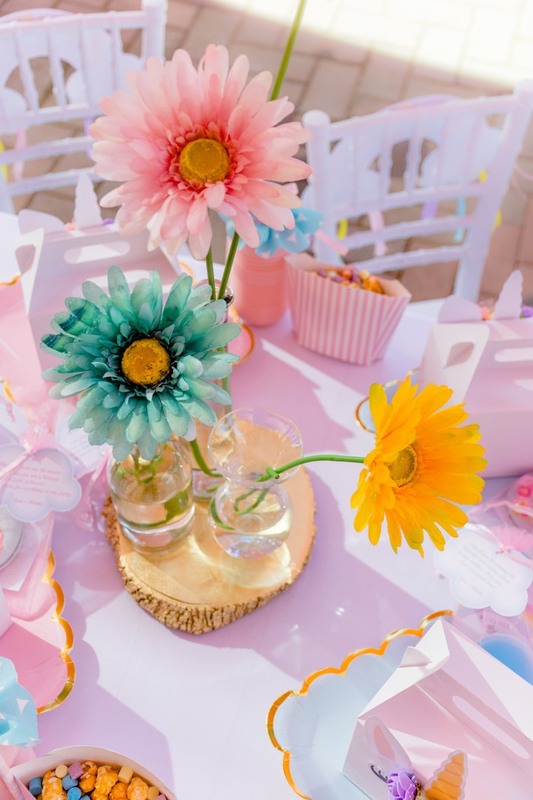 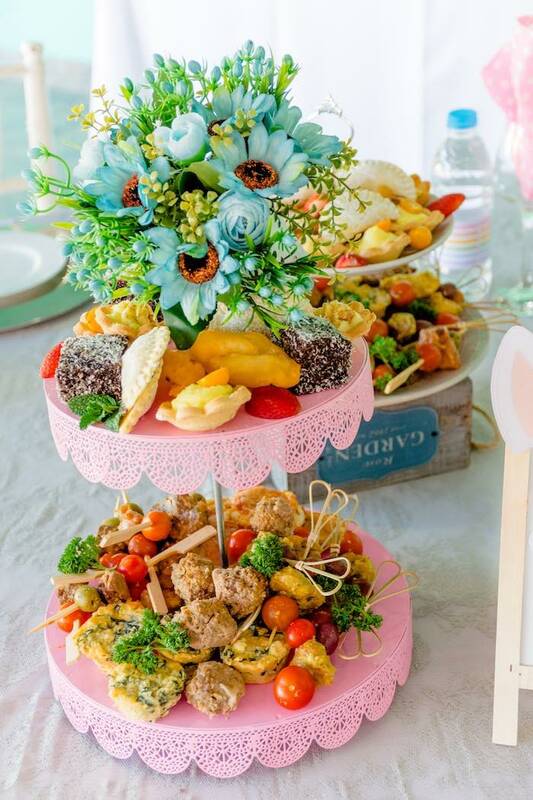 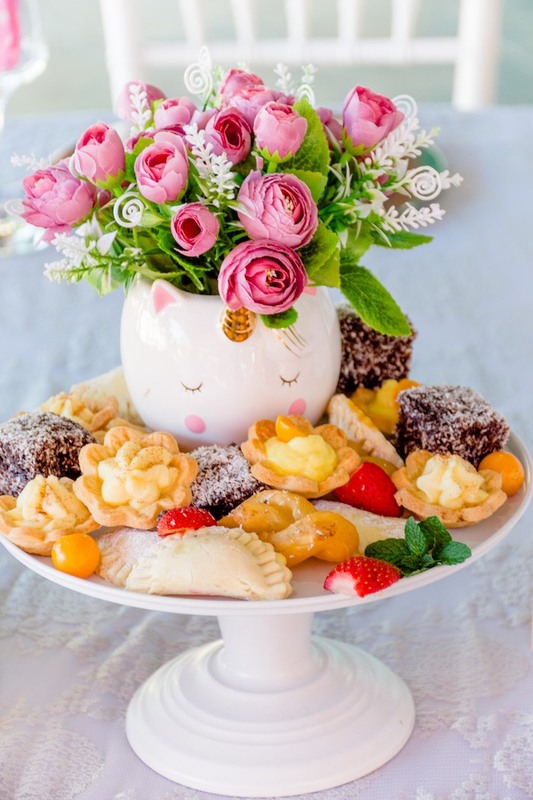 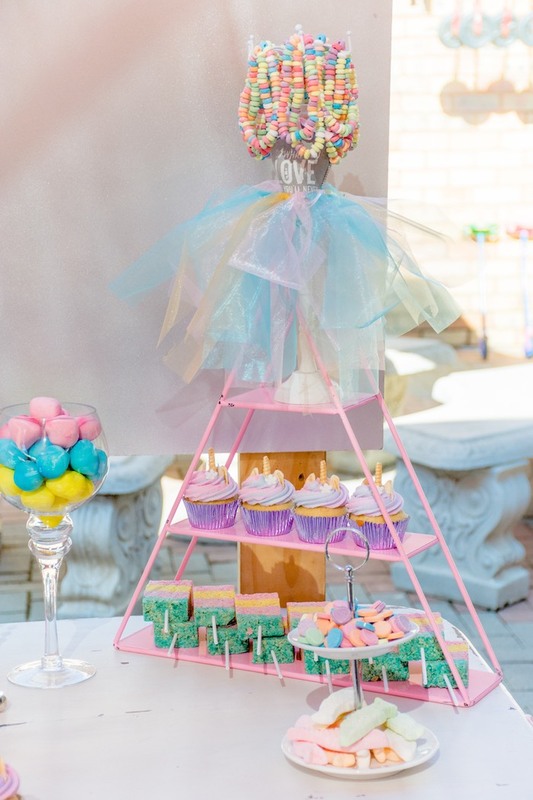 Fluffed up with magic and colors so bright, this birthday bash is a darling delight! 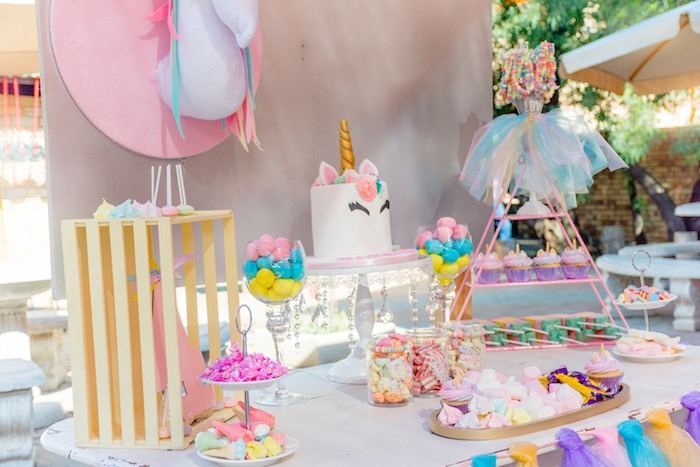 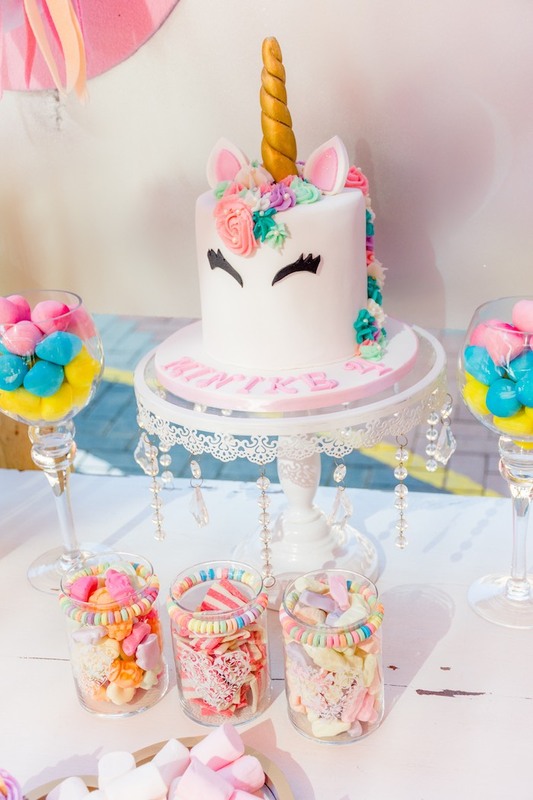 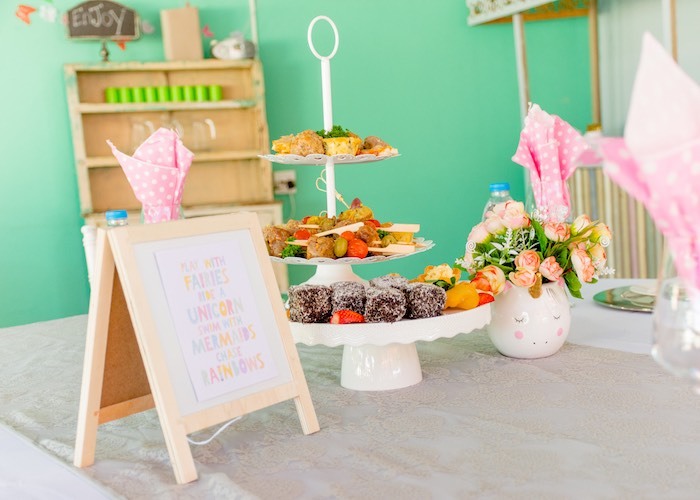 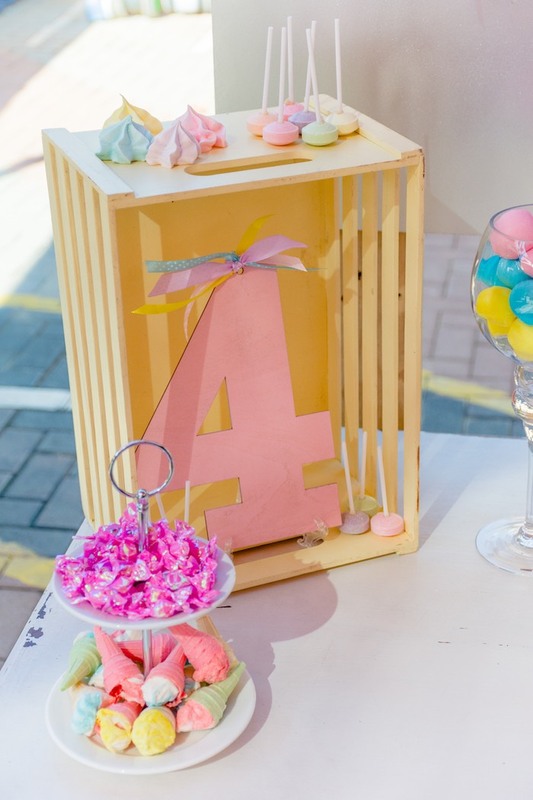 “It was rainbows and unicorns in the prettiest of pastel colors for Minike’s 4th Birthday party. 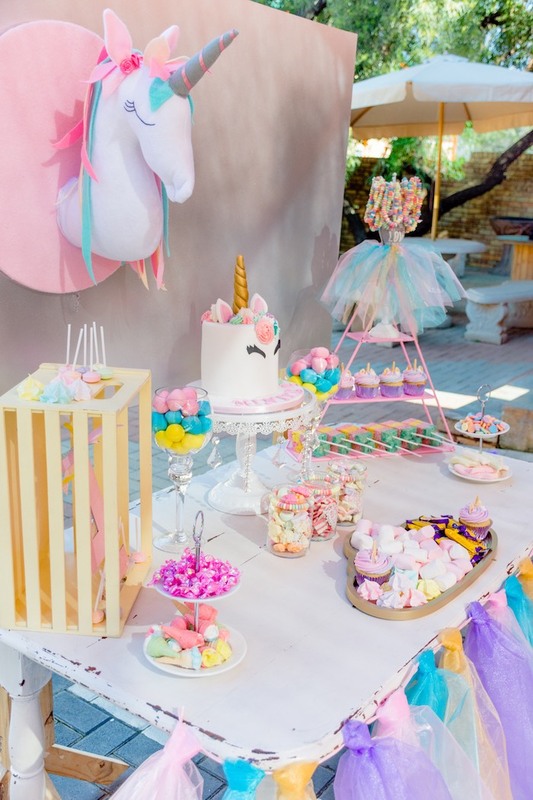 We did a Candy table with Unicorn 3D Unicorn head made by Mie&Kie Boobeloobies, unicorn cake and pastel meringues made by Oumas Pantry. 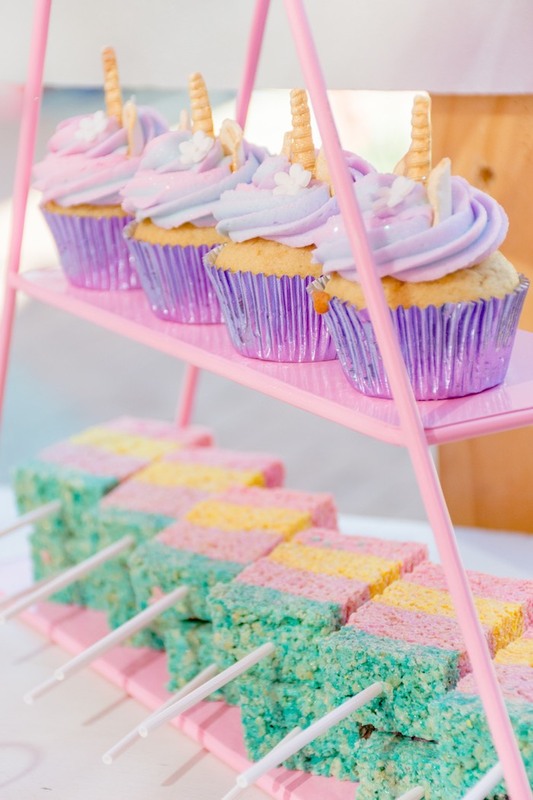 Unicorn cupcakes made by Cupcake Cutie. 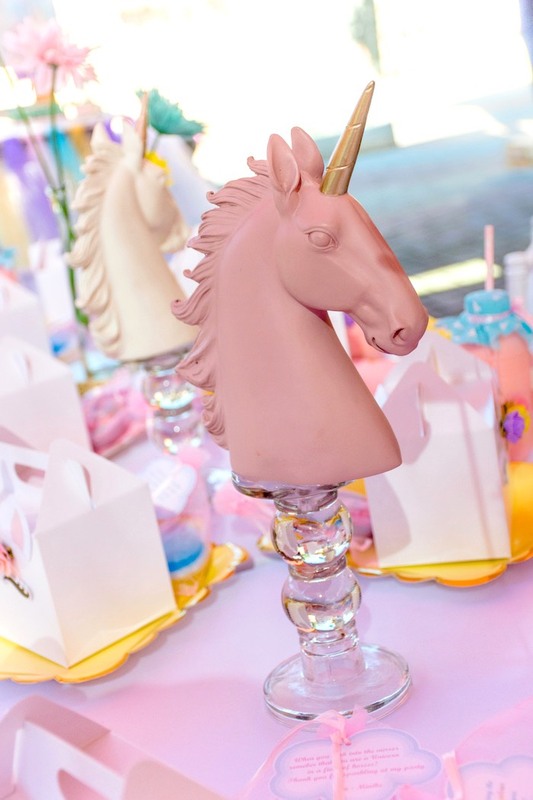 It was unicorns everywhere! 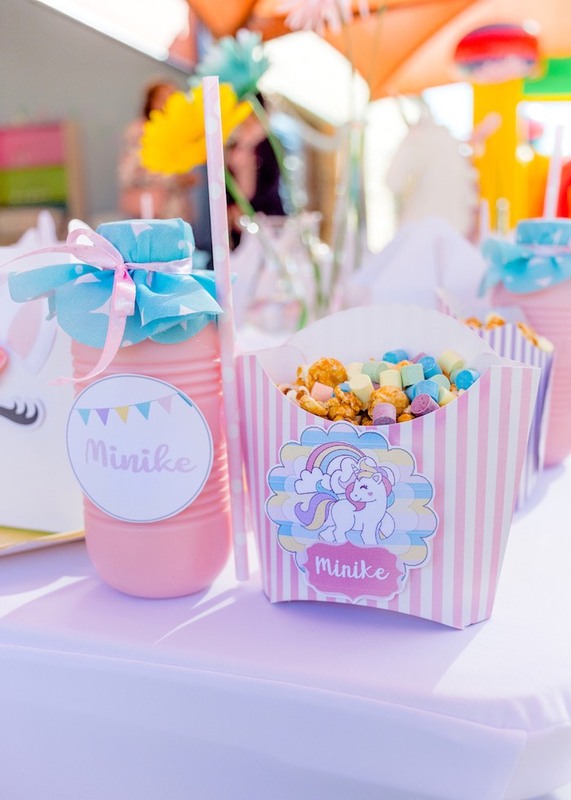 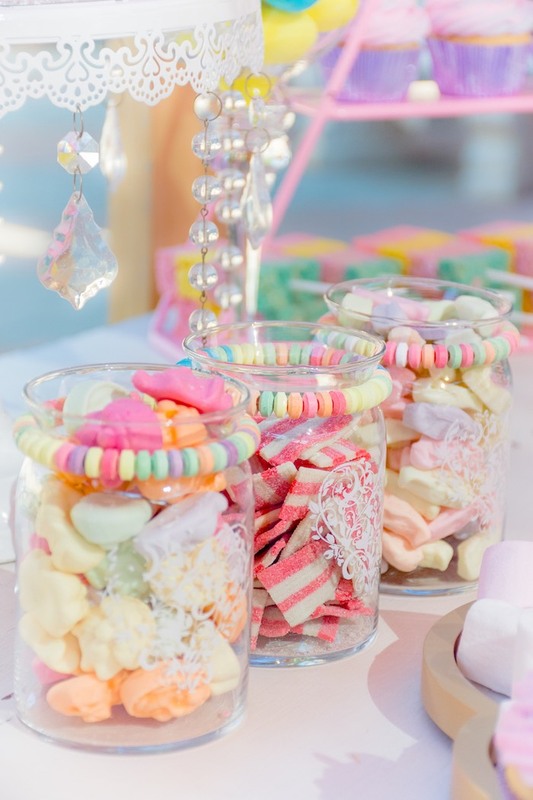 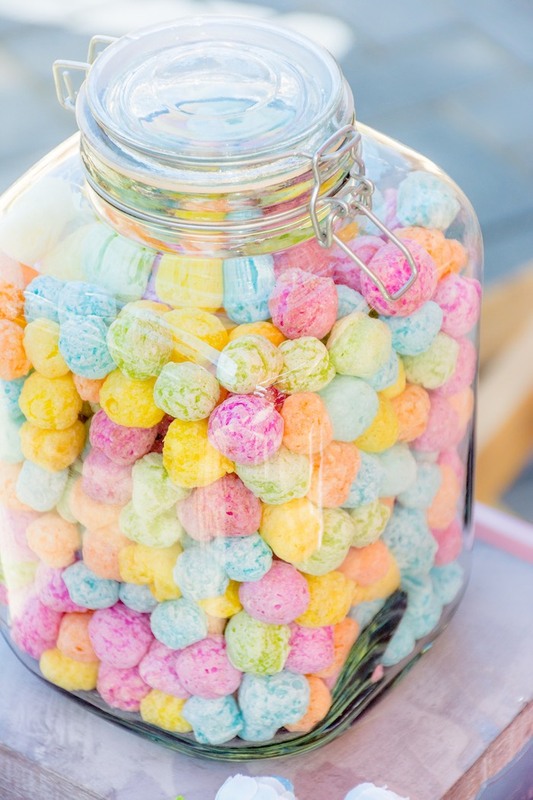 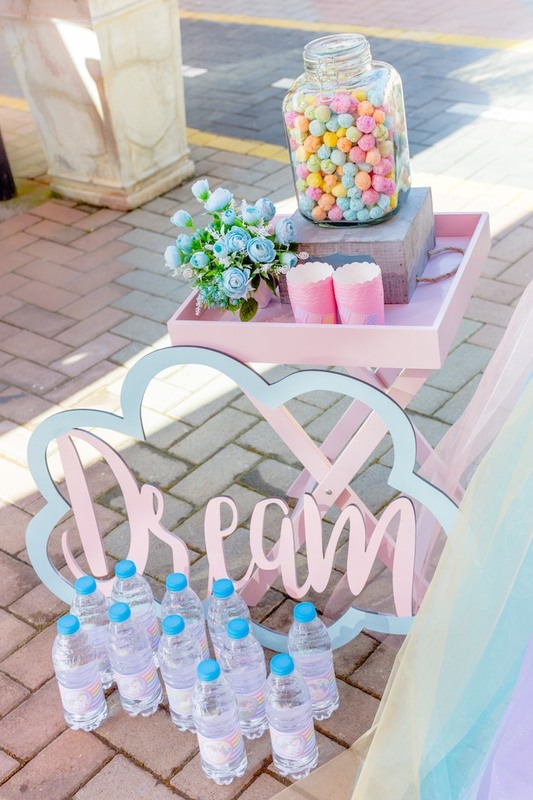 Vases with candy and rainbow tulle skirt to make this picture perfect. 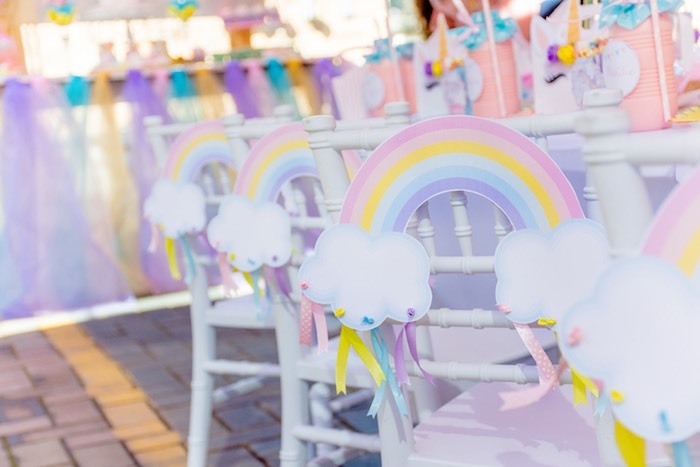 I created Rainbows with ribbon detail for the kiddies Tiffany chairs. 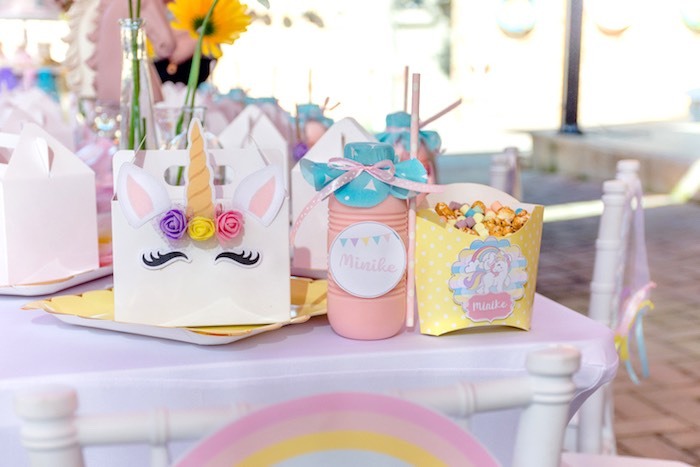 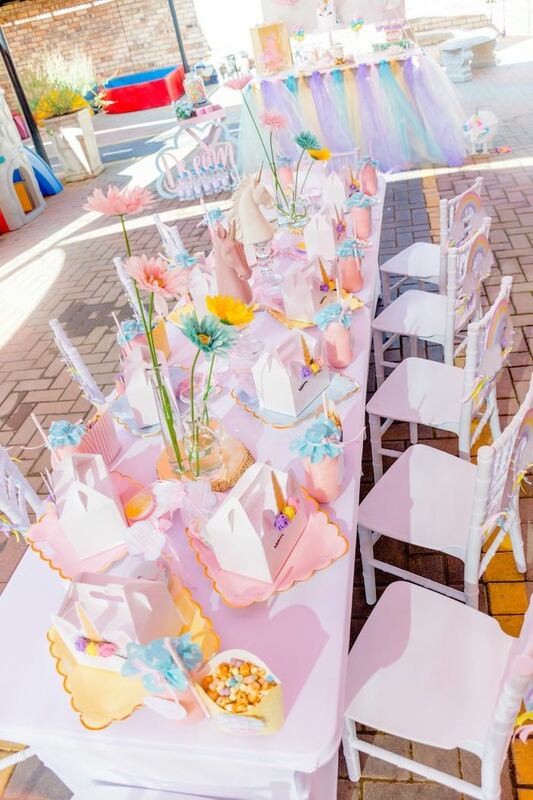 Flower centre pieces and of course unicorn party packs, caramel popcorn and unicorn milkshakes to finish off this pretty party. 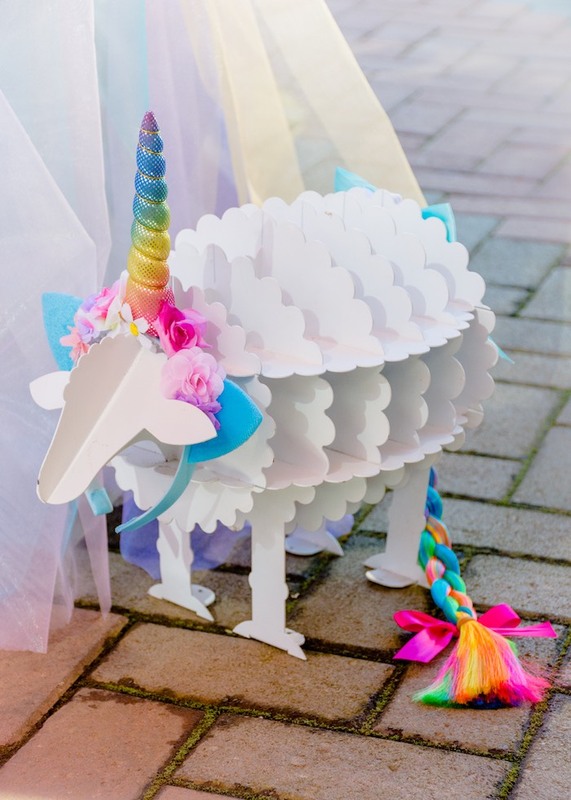 Shelley the sheepacorn our mascot of course attended in her best attire! 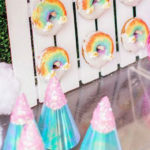 Party favours were little unicorn mirrors for the girls and rainbow slime for the boys. 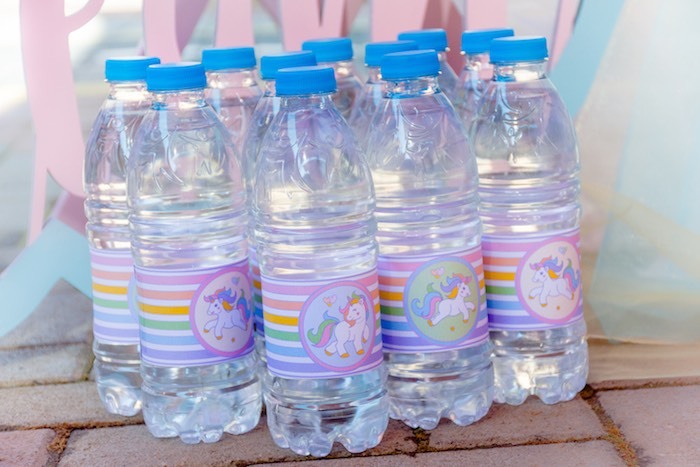 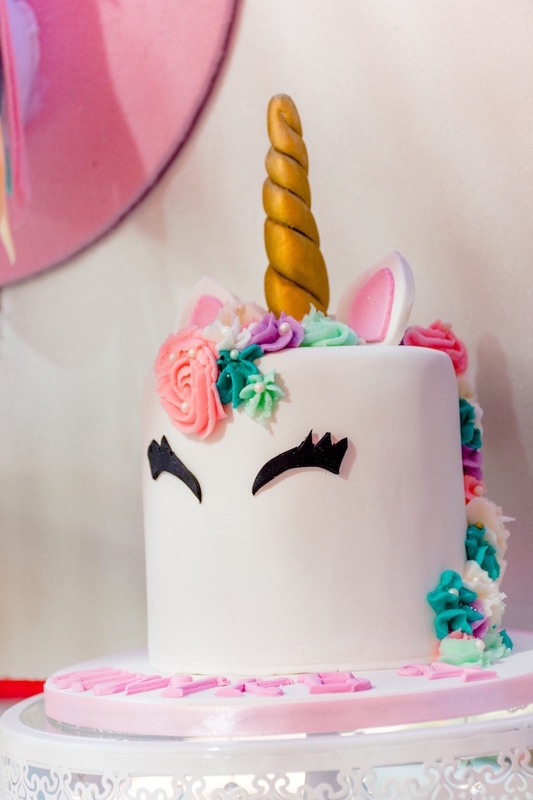 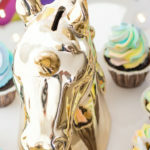 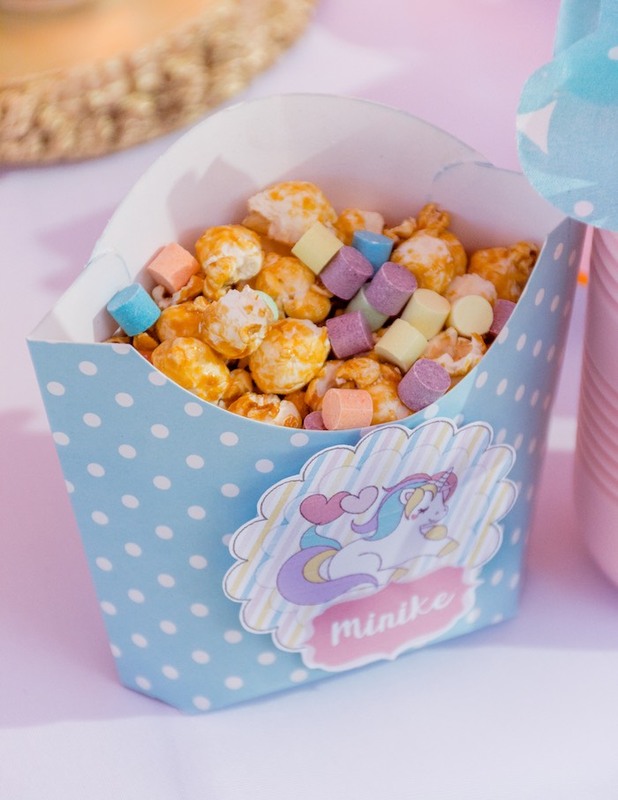 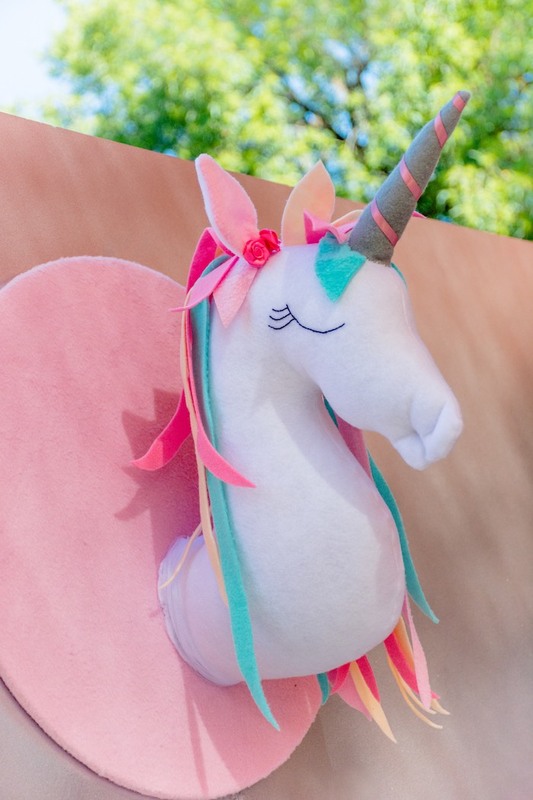 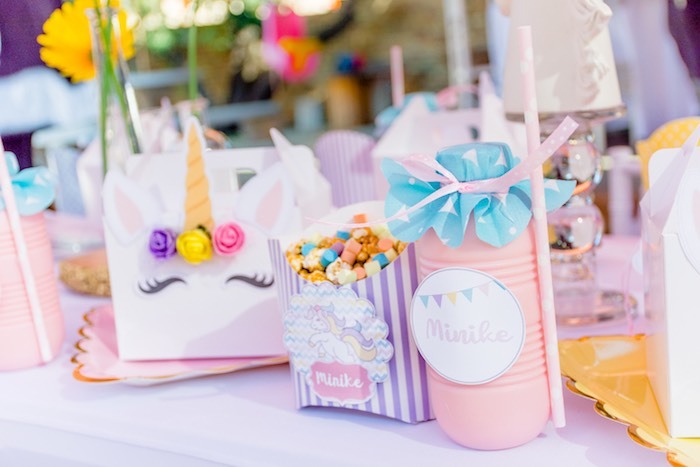 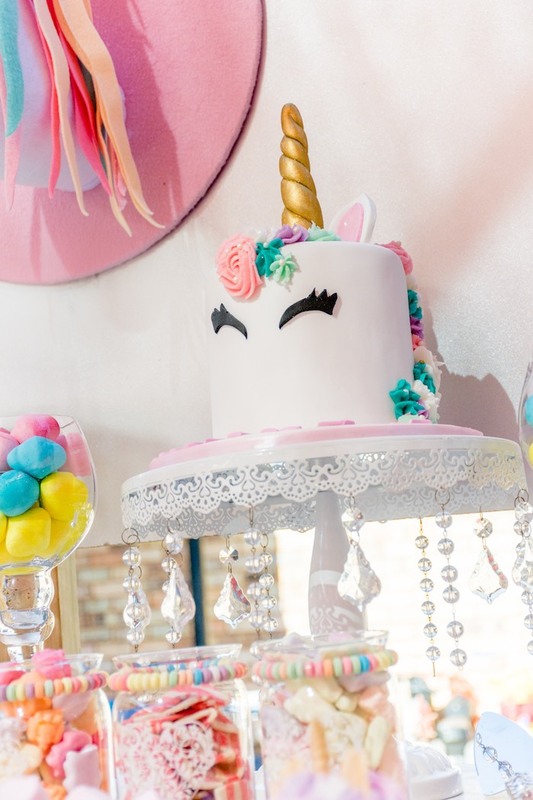 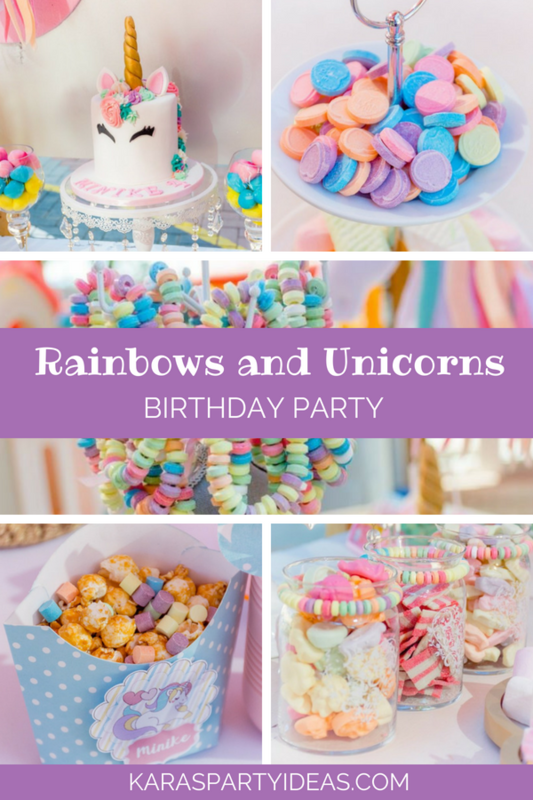 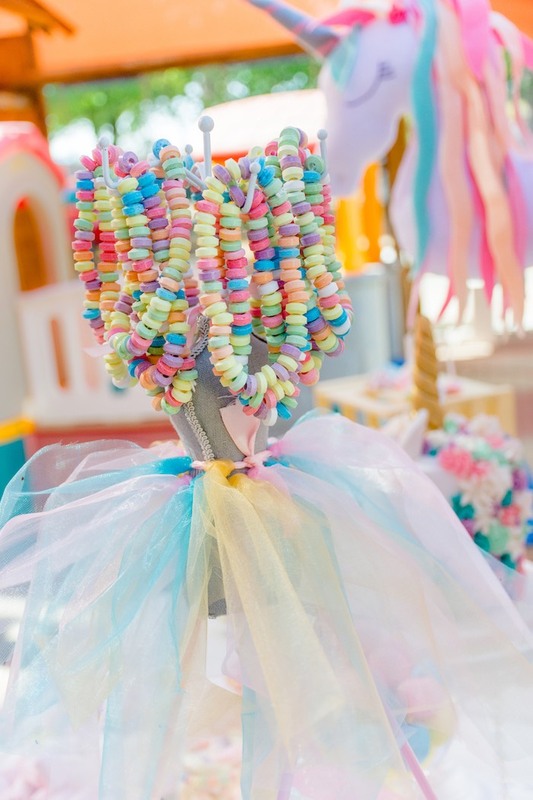 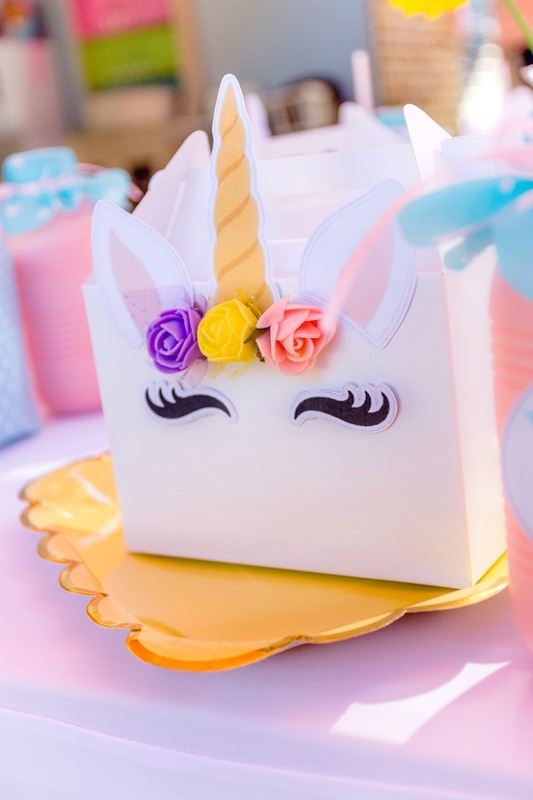 See all of our unicorn party ideas here!